Leave fantasy and first-person shooters behind and sail for uncharted waters with World of Warships Blitz. Wargaming Mobile’s latest free-to-play action game is available today on both the Apple App Store and Google Play Store. Mobile gamers can try their hand at tactical naval combat that combines teamwork, tactics, and skill to rule the seas in an action-packed PvP online shooter. 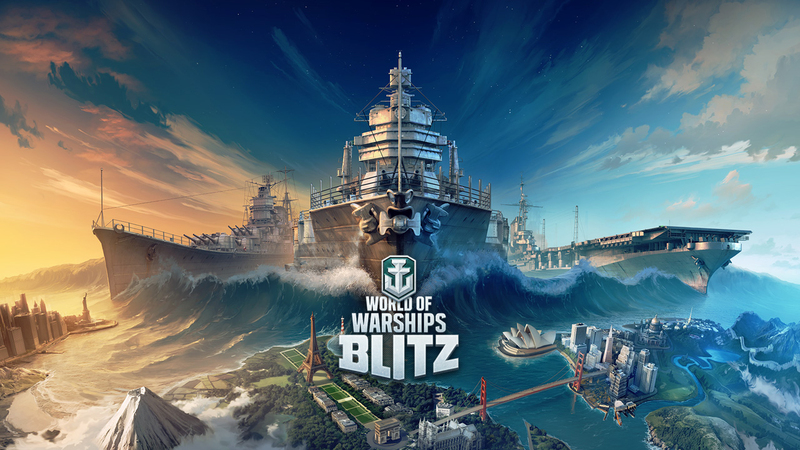 World of Warships Blitz takes the realistic vehicles and epic naval experience of its PC counterpart and combines them with smaller teams and maps so that every 7 vs 7 encounter is fit to bursting with instant, rapid-fire action. Forge a path of destruction with the legendary battleship USS North Carolina, outwit foes with the USS Iowa, take the helm of an Imperial Japanese Navy Kongo-class battlecruiser and lead your team to victory—anywhere, anytime—on the bus, hanging out at home, or trapped in another boring meeting. Hi, is this available all regions? i thought it was on SE only?